What's happening at the ENO? Last week, Martyn Rose resigned as Chairman of the Board, This morning, Henriette Götz, appointed in April as Executive Director, resigned as well. Read more about her HERE). Latest news is that Anthony Whitworth-Jones, has become acting Executive Director with immediate effect. Whitworth-Jones was General Direector of Garsington Opera from 2005-2012, the years of transition between the death of founder Leonard Ingrams and the new Garsington Opera at Wormsley supported by Mark Getty. Prior to that, he was at Glyndebourne for nearly 20 years, being General Director at the time the auditorium was rebuilt. He's a personable man and a hands-on administrator, infinitely better qualified than some of the ACE and BBC apparatchiks. Although he's only been on the Board of the ENO since September 2012, he's sharp enough to know how things work, and too experienced to be pushed into corners. With the Arts Council's vendetta against London and against the ENO and Barbican in particular, the ENO needs a firm hand on the tiller. In a letter leaked a few days ago, Martyn Rose is reported to have said that ENO Artistic Director John Berry "is, in my mind, the problem not the solution, and no meaningful change will ever take place whilst he remains. Time is of the essence. We cannot wait any longer." We don't know specific details. What's critical is the decision of the ENO Board as a whole, and the sort of positive changes they would support. The ENO is a vital part of our cultural life. It's nonsense to think its resources and expertise can be replaced by transferring funds to micro mini companies outside the metropolis. Hopefully, soon, a new New Business Model and the unity of purpose essential in these troubled times will emerge. Boesch is an exceptionally intelligent, analytical thinker with great insights into what he does. For Austrians Reisebuch aus den österreichischen Alpen isn't a collection of scenic vocal postcards. As we head towards the centenary of the collapse of the Austro-Hungarian Empire, we should reflect on Krenek's Krenek's Reisebuch , which is one of the milestones of 20th century song, like the true masterpiece, Hanns Eisler Hollywooder Leiderbuch. Fresh from the scandalous success of his opera Joinny spielt auf, with its black saxophone players and jazzy rebellion, Krenek withdrew to live for a while in the Austrian Alps among the local people, sharing their hardships and traditions, a complete antidote to the shallow "Vienna City of Dreams" myth. Krenek was also reflecting on Franz Schubert, who had died only a hundred years before, and whose work was still being codified into the D system we know today. So Krenek, like Schubert, sets out on a journey of discovery, "mein Heimat zu entdecken". Perhaps, in the process, he was finding himself. Please read my main piece on Krenek Reisebuch aus den österreichischen Alpen HERE. I've loved it since I heard Wolfgang Holzmairs's recording ages ago, long before the existence of Amazon, when you had to write to suppliers and do complex things about payment., Holzmair is passionate about Austrian repertoire, bringing composers like Franz Mittler to a wider audience (even though Mittler's text are sardonic Vienna dialect, impenetrable to many). There is a recording by Dietrich Fischer-Dieskau, but with all respect, it's not recommended, at all. His sensibilities are too "Prussian". Holzmair (and Boesch) have the Austrian burr which warms the songs like sunlight. If Boesch records this cycle, get it. His voice has the kind of firmness that could bring out the intelligence of Krenek's observations. This cycle contains what must be the first ever Lieder dealing with the rise of the Nazi Party. It was written soon after the Beer Hall Putsch when many wrote the dangers off. It's significant that Hitler came from the Linz region, but went to Munich to make his mark. 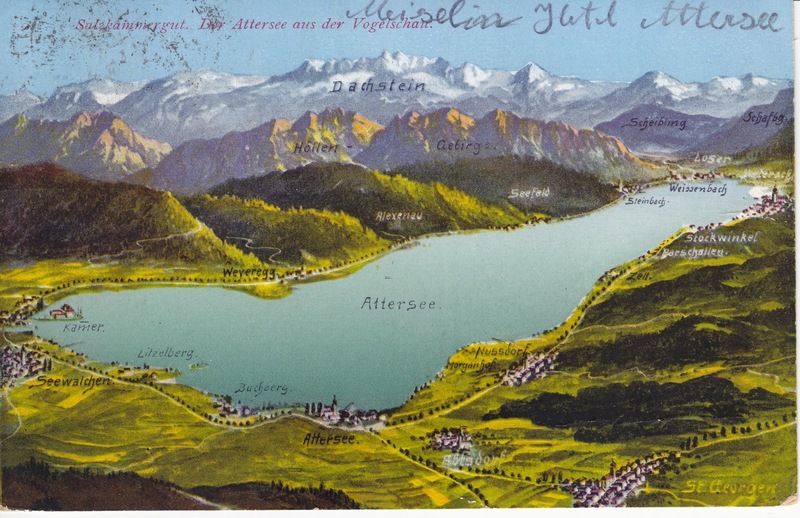 Where does Reisebuch aus den österreichischen Alpen stand in relation to Krenek's other work ? He's visiting Schubert territory, but not seeing things through Schubert's perspective. Ideas meant much to him. He wrote his own texts and also the clumsy English translation. Krenek's tribute to Schubert is to be himself, and to be original. He'd been prolific before this song cycle and would have other major works like Karl V. He didn't move to the US until 1938. But would he have become what he did in later life without a thorough grasp of his Heimat? Vítezslava Kaprálová would have turned 100 this weekend. Had her situation been different, she might, conceivably be alive today, respected in her own right, rather than a passing footnote in the shadow of others. We need to remember her, for her music, but also for her place in Czech history. I won't say for her place as a female musician because I don't believe in cynical bandwagon feminism. No-one should be classified by gender. Kaprálová is far more interesting as herself. Kaprálová was was five years old when Czechoslovakia gained independence. 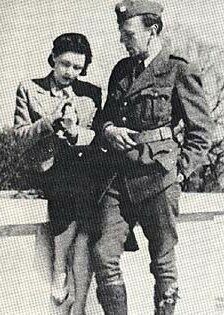 She left the country before the Germans invaded in 1937, and died in Montpellier, soon after the fall of France. Like the first Czech Republic's, Kaprálová's life ended far too early. Kaprálová is largely forgotten, for anyone who dies aged only 25 leaves little for posterity. They haven't had a chance to fulfil their potential. She was born into the Czech musical aristocracy.. Her father, Vaclav Kapral, was a composer, her mother a singer. They knew everyone in close-knit Czech musical circles. Kapral was a student of Janáček, and contributed an article on the elder composer's choral music in a magazine celebrating Janáček's achievements. Evidently young Kaprálová heard or read the scores of what Janáček wrote, and no doubt was familar with a great deal more. She came into contact with almost every big name in Czech music circles, so perhaps it was inevitable that she was something of a child prodigy. She started writing her own music from the age of 9 and entered the Brno Conservatory aged 15. She moved between Prague and Paris, developing a strikingly original voice. Consider her song January, for voice, piano, flute, two violins and cello (1935, (link HERE) the month she turned 20. This is a beautiful piece, the non-vocal writing exquisitely balanced. The poet is Vítězslav Nezval (1900-58), whom Kaprálová probably knew personally. He was a musician who studied with Janáček but is better known for his association with the thriving Czech avant garde in the 1920's and 30's, where literature, music and film art flourished in a kind of Czech renaissance largely unknown to anglophones. "In the night the frost painted on my window a delicate vase. I am horrified of winter days and vases!" The protagonist sees frozen virgins in a boarded-up house, a chill church organ, ceilings falling in. Exquisite balance, the instruments (especially seductive cello) curving round the voice, slowly encircling it. And this is just Kaprálová's op 5! Evidently she had a very original, creative mind. With her impeccable connections, she was very much part of the lively arts scene in the new republic, creating its own distinct identity through music, literature, visual arts and film. She also lived an independent , liberated lifestyle. Much is made of her affair with Bohuslav Martinu, but their relationship didn't last. She married Jiří Mucha, son of Alphonse Mucha, who defined art nouveau painting and design. After Kaprálová's death he married Geraldine Thomsen Mucha. Their home in Prague was a shrine to a remarkable era in Czech history. Kaprálová began conducting in her teens and worked with masters like Vítězslav Novák and Václav Talich. In her early 20's she was conducting the Czech Philharmonic and made a notable impact on her contemporaries, including Rafael Kubelik, also part of the Prague musical elite. In 1938, aged 22, she conducted the BBC Symphony Orchestra in her own Miliitary Sinfonieta (1937). Against the background of Nazi confrontation, it's quite a statement. Fierce, bright brasses suggest defiance, more lyrical passages suggest the endurance of more peaceful (possibly Czech) values.. The tension between driving ostinato and themes of soaring freedom give the piece considerable sophistication. Perhaps we can even hear echoes of Janáček's Sinfonietta in the cheeky, rhythmic fanfare towards the end. It may well be Kaprálová's humorous way of acknowledging quirky nationalist spirit. No really good artist copies, or lives under the control of anyone else. Kaprálová is unique. When she died, aged only 25, after the invasion of France, a truly fascinating talent was extinguished. Please read my other pieces on Kaprálová and on Czech music and film. You have got to LOVE this guy ! The South Bank 2015/2016 season was quietly announced this week - here's the press release. Since I avoid doing copy/paste, I've spent a bit of time thinking. The South Bank is, or was, at the heart of the arts in the whole nation. What happens there impacts on everywhere else. This year, the focus is on the Royal Festival Hall, since the Queen Elizabeth Hall and the Purcell Room are being closed down for refurbishment (details here) at a cost of £25 million, a bit less crazy than the original £120 million project. I wish they'd refurbish the South Bank website which caters mainly for the short term. Serious music listeners plan a year in advance, so the website chases business away instead of bringing it in. You'll need to book early for Opera North's Wagner Ring, from 28/6/16. Current Arts Council policy has an animus against London. But if we want a national arts policy, surely it makes more business sense not to starve London of funding but to bring regional companies to town. Opera North should get a good income from coming to the South Bank, much morre than when it toured to Sadler's Wells, and it increases their profile. Economics and demographics favour London, no political gravy train is going to change that. Zurich Opera has been coming to the South Bank for years, even if Arts Council England hasn't noticed. Zurich is a major house, so if London's good enough for them, so be it. This year, they're doing Alban Berg Wozzeck on 2/10/16 with Christian Gerhaher, conducted by Fabio Luisi. Even more significantly, Jirí Bélohlávek brings the Czech Philharmonic and good singers from the Czech National Opera to London on 18/4/16 in Leos Janácek Jenufa. This is a big deal since the RFH is bigger than the Barbican Hall where Bélohlávek conducted when he was with the BBCSO. More space will let the music breathe, and more people can enjoy. These three ventures represent a much more effective means of using existing London resources than the hare-brained idea of sponsoring micro-mini companies in the boonies. I'd really like to hear the Hallé., for example, enticed to London, under some reciprocal deal. It's cheaper to move players around than to fund more "British Music Experiences" which serve little purpose except to siphon funding. Real artistic innovation is made by people, not by capital projects. At the London Philharmonic Orchestra, Vladimir Jurowski continues for a few more years, which is good news, because he's a man of integrity and sensitivity who likes exploring, especially Russian repertoire. This year, he's conducting Taneyev, Tchaikovsky, Bruckner, Sibelius, Knussen, Strauss, Mahler and the world premiere od Alexander Raskatov's Green Mass ( 30/1/16). Raskatov wrote the ENO A Dog's Heart which was brilliant theatre, so let's find out about his music. Also unmissable, the world premiere of Magnus Lindberg's Violin Concerto no 2 (Frank Peter Zimmermann). Jaap van Zweden conducting. Lindberg was a regular at the South Bank under the aegis of Marshall Marcus, a man of such vision that he could reinvigorate a genuine understanding of the arts in this country, much more so than some of the ruling clique. I'm also booking for Christoph von Eschernbach on 9/4/16 Matthias Goerne sings the UK premiere of Marc-André Dalbavie's new work for baritone and orchestra , and also Brahms German Requiem. Dalbavie's orchestral and chamber music is good : more recently, he's been writing opera, eg Gesualdo in Zurich. Emeritus conductor of the London Philharmonia, Christoph von Dohnányi returns on 27/9/15 with Beethoven's Ninth - a gala to mark his 85th birthday. His second concert, on 1/10/15 (Berg, Ives and Schubert) would be fulfilling, too. Chief Conductor Esa-Pekka Salonen focuses this year on Stravinsky, but you'll have a job finding out what he's conducting since the South Bank website is musically illiterate and hard to navigate. Look at this for example, which pours out generalities about something that's not even on the programme! Nothing wrong with mistakes, everyone makes them, but that's hilarious. It brightened nmy day. Fortunately, Bernd Alois Zimmermann's Nobody knows the trouble I see (6/12) gets mentioned, along with Bruckner 8th. Andris Nelsons, however, is known only here for his work at Boston! Salonen also does three concerts with Lang Lang. The Salonen Stravinsky concerts, which sound good, tre in May 2015 and September 2016. The Orchestra of the Age of Enlightenment has a natural home in the Queen Elizabeth Hall, but with that out of commission it's moving. 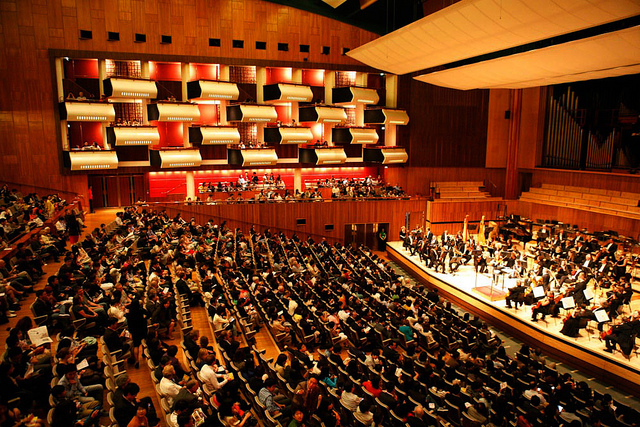 At the Royal Festival Hall on 10/11/15, András Schiff conducts Mendelssohn and Schumann. On 14th, the OAE moves to St John's Smith Square, where Ian Bostridge sings Handel (in a Handel period building). More unusually, the OAE takes on Mahler on 12/4/16 with Vladimir Jurowski, and Simon Rattle conducts Hans Rott, Brahms and Bruckner on 22/4/16. The big gala comes on 7/6/16 when Mark Elder conducts Weber Der Freischütz. This is core OAE rep and they do it livelier than most. No cast details, yet, but who cares, book as soon as possible. As for the London Sinfonietta, once stalwarts of the South Bank, attracting an edgy and devoted following, there's no news at all. I looked up the Sinfonietta's own website, with little more luck. How times have changed, sadly. This year they're doing more schools programmes than "new" new music.Al orchestras do outreach, but their primary goal is to create good art, not to substitute for the disappearance of basic musical education in this countrey. The photos show the tombs of Pedro and Inés in the Mosteiro de Santa Maria de Alcobaça. Even the setting is dramatic. The tombs are in what seems to be a spartan, empty wing of the main building, reflecting the desolation Pedro must have felt. Then, as you come close, the sculptures, among the finest in all Europe, reveal their glories. You could spend hours studying the detail and imagery. The romance is depicted, its tragedy, and its moral epilogue: souls descending into hell. I've wanted to hear MacMillan's Inés de Castro for twenty years but short of travelling to Scotland, what's the chance This is where the idea of a nationally aware arts organization (even if London based) comes into play. Scottish Opera, no matter how hard it tries, can't hope to reach the rest of Britain on its own. MacMillan is one of the major names in British music, and his music is readily accessible. This would be a chance for the BBC to deliver on Tony Hall's promise of making it a major force for the arts. But what do we actually get when we turn to the flagship BBC Arts ? There's a short clip of MacMillan talking about the opera, which is very useful, but no substitute for the music. Without context, it's pretty much meaningless. The BBC Arts homepage is barely more than a collection of random clips. The Space, its predecessor, failed because it was disastrously mismanaged. If the French and Germans can do umbrella arts web channels why can't the British? The BBC is in a better position to do this than anyone else, even if it drives Rupert Murdoch crazy, but it seems to have lost the plot, and learned nothing from the mess The Space descended to. For the Wagnerite who has everything - your very own custom made Rheingold Ring pendant in 18K red and yellow gold! The Hong Kong Philharmonic Orchestra does Wagner Das Rheingold tonight with a world class cast - Matthias Goerne, Kwangchul Youn, Michelle DeYoung, Kim Begley, Oleksandr Pushniak, Eri Nakamura, Anna Samuil, Hermine Haselbõck, Peter Sidhom, Stephen Milling and many others. Conductor Jaap van Zweden. More details HERE. Chow Sang Sang, one of Hong Kong's oldest and most prestigious goldsmiths, sponsors this production. Hence the brilliant tie-in, a stroke of marketing genius! Because these rings are being made for an honourable, charitable cause, they won't be cursed. Brünnhilde would approve, as will the Rhinemaidens. Order HERE even if you can't make the event - this is an exclusive one-off limited edition offer. Umberto's Giordano's Andrea Chénier, now at the Royal Opera House, is no more about history than Jesus Christ Superstar is about theology. "It's more of an opera", said a lady, making a long pause, "......than Fedora." That said, it's so full of catchy tunes and star turns that it would make a great feel-good West End musical. Basically, it's a pot boiler even by opera standards. Had it been written 30 years later it would have been a Hollywood extravaganza, complete with dancing girls. But gosh, is it fun in its own camp way! 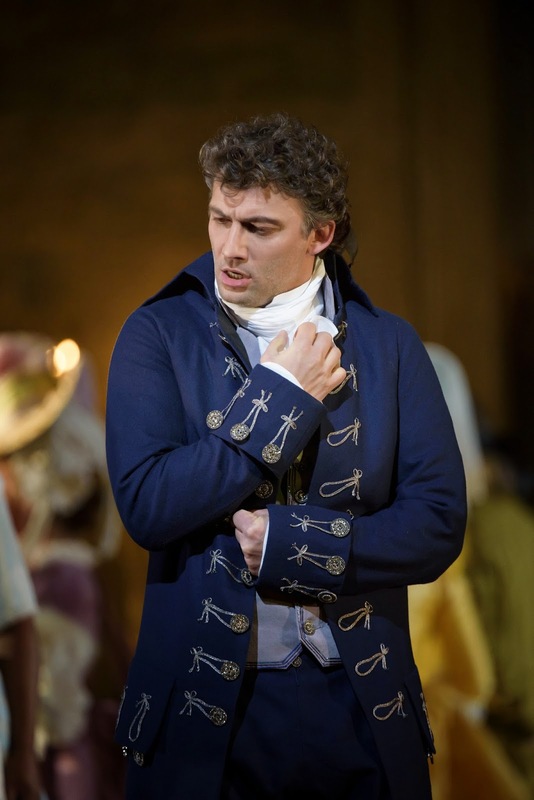 Jonas Kaufmann redeems the opera altogether, and raises it to an altogether higher level of power and dignity .The part is ideal for his rich, Italianate timbre with its hints of mystery and sensuality. Technically, the Big Numbers in Andrea Chénier aren't nearly as brilliant or as beautiful as those in, say, Manon Lescaut, but they provides moments of display stunning even the least musical members of the audience. Fortunately, Kaufmann is a genuine artist, who doesn't do things just for show. He creates the part with his singing, suggesting much more depth and complexity than the composer might have dared to imagine. This Andrea Chénier is a bad boy, a rock star, an outsider who writes poetry in an age of violence, yet he has the finesse to entrance a posh girl like Maddalena di Coigny. . After that "Un dì all'azzurro spazio" I was smitten, too. Slight as Luigi Illica's libretto may be, the story deals with cataclysmic events. The French Revolution was such a watershed in world history that it creates a powerful backdrop that it saves the opera from itself. Because know what the story, we can fill in the emotional extremes without much effort, but singing this impassioned helps a lot. 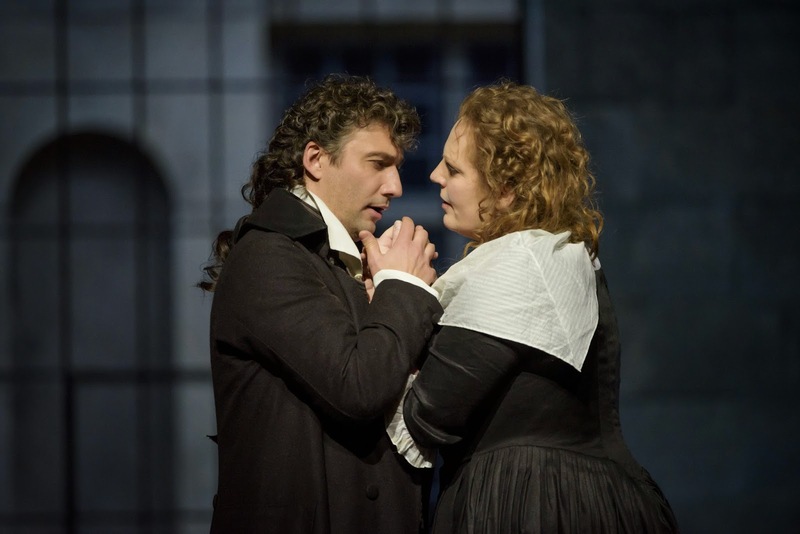 Eva-Maria Westbroek is a house favourite because she makes all her roles feel personal: her Maddalena seems full-hearted and full-throated even before she dresses up for the ball. Westbroek brings out the feisty woman behind the fancy veneer. Giordano may emphasize the love story, but the French Revolution happened for very serious reasons. Elegant as the Ancien Régime might have been, it was a system based on inequality and the abuse of wealth. 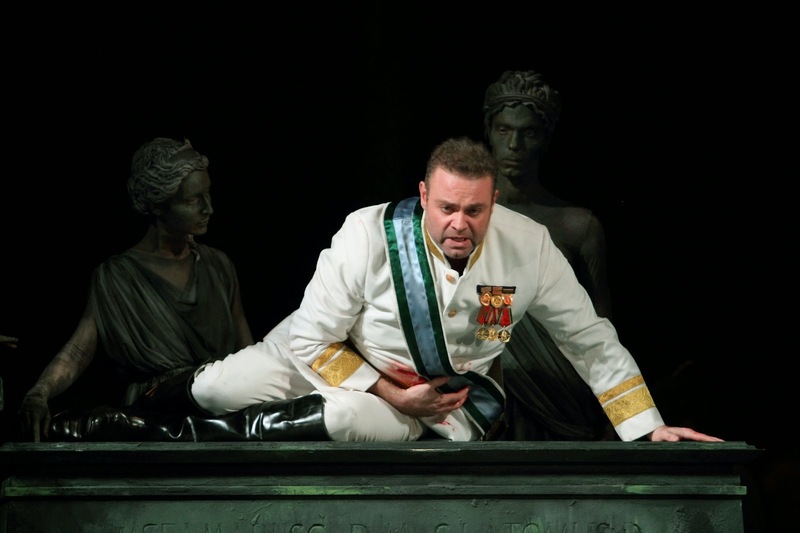 Carlo Gérard (Željko Lučić) rages against the cruelty that has worn his father down. Lučić's singing was so intense that he made it clear, that, for all the prettified décor of this set (designed by Robert Jones), the past was a hideous sham. The pastoral dance shows the rich pretending to be the peasants whom they exploit: dance is a metaphor for regimented group-think. The servants have lovely costumes (Jenny Tiramani) but these are uniforms, only prettier than prisoners or soldiers might expect. It's also not for nothing that Bersi (Denyce Graves) is black. These things happened. This production is visually stunning – chandeliers in the middle of the field of vision, roccoco mirrors, colour co-ordinated designer clothes even for the mob in the court room. So much for the ideals which Chénier stood for. This Andrea Chénier is most certainly "Regie" because every production, no matter how banal, is a form of interpretation of meaning. David McVicar "decorates" but misinterprets meaning. The Revolution happened because, for a moment, people realized that superficial appearances deceive. It says much about modern society that people nowadays treasure trappings over truth. A man behind me kept talking loudly, bursting into insincere autopilot bravos and bragging about himself. Never before have I experienced behaviour as boorish as that, especially not at ROH. If he really did know opera as well as he claimed to, surely he might have noticed that the implicit values of Andrea Chénier are quite the opposite? Debussy : Pelléas et Mélisande - Simon Rattle conducts the BBCSO in a semi staging by Peter Sellars. Magdalena Kožená (Mélisande), Christian Gerhaher (Pelléas), Gerald Finley (Goulaud), Bernarda Fink (Geneviève), Franz-Josef Selig (Arkel) and the London Symphony Chorus under chorus director Simon Halsey (9/10 January 2016). The UK premiere of Louis Andriessen's large scale opera La commedia (part of the Louis Andriessen Composer focus. This will be part of a Total immersion in Andriessen's music, a range of concerts including: a performance of De Staat given by the Guildhall New Music Ensemble; Britten Sinfonia performing Dances and Tapdance; and UK premiere performances of Andriessen’s Mysterien and Rosa’s Horses with the BBC Symphony Orchestra. Lots on Andriessen on this site, he's one of my faves. Masaaki Suzuki and Bach Collegium Japan begin their first major UK residency. Suzuki comes regularly to the UK (usually Aldeburgh) but in April 2016, he3 and his amazing choir will be joined by sopranos Hana Blazikova and Joanne Lunn, countertenor Robin Blaze, tenor Colin Balzer and bass-baritone Dominik Wörner, for two of Bach’s greatest choral achievements: a performance of Mass in B minor, one of their great specialities, (8 April) and Magnificat paired with Bach’s Orchestral Suite No 3 in D minor, Concerto for two violins in D minor and Cantata Bekennen will ich seinen Namen BWV 200 (9 April). Hans Zender's Winterreise with Ian Bostridge in a new semi staging by Netia Jones (read more about the piece HERE) This new incarnation promises to be more, as it's now titled "The Dark Mirror"
Composer focus on George Benjamin, in March 2015, including a semi-staged performance of Written on Skin featuring the Mahler Chamber Orchestra conducted by Benjamin himself. ‘This opera was designed for the MCO’, says Benjamin; ‘While composing, I remembered the sound of the orchestra and its special qualities.’ Experienced cast ! Barbara Hannigan, Christopher Purves and Tim Mead. Laurence Equilbey's new ensemble, the Insula Orchestra, makes its London debut joined by Choeur Accentus and soprano Judit Van Wanroij, alto Wiebke Lehmkuhl, tenor Reinoud van Mechelen and bass Andreas Wolff presenting an unusual programme of Zelenka (Miserere in C minor), Mozart (Solemn Vespers K339) and CPE Bach (Magnificat). Highly recommended ! Rolf Hind's opera Lost in Thought "the world's first mindfulness opera" which might sound odd but Hind is a very gpod composer and the production is by Frrederic Wake-Walker, also very good Lore Lixenberg sings, also good news. indeed. It's "based on the classic structure of an extended meditation, with the music and concept by Rolf Hind. Exploring the points of contact between sound and silence in music and meditation, Lost in Thought will be an immersive musical performance in which the boundaries evaporate between performer and audience, between time and experience". Renée Fleming in February 2016 with Jiří Bělohlávek in the UK premiere of Swedish composer Anders Hillborg’s The Strand Settings. Especially written for and dedicated to Renée Fleming, the work is a 24-minute song cycle about love and desire, based on texts by Canadian poet Mark Strand. She returns in April with Hartmut Höll in a Lieder recital. Overwhelmed by the riches to watch and listen to, all at once, this week. Some have been so good you need to enjoy them more than once. 24/7 listening if possible. Absolutely the crowning glory is the inauguration of the Philhamonie de Paris. Twenty years in the making, this is, most certainly, the biggest new venture on the European arts scene in decades, eclipsing even the new Mariinsky. Even those who don't actually like music should watch: the building is spectacular, so beautiful and so innovative it's a work of art - massive multi-dimensional sculpture. The filming is surprisngly tactile: the cameras linger lovingly over different vistas and angles, as if they were exploring the body of a beloved. Utterly sensual. The performances are excellent, the performers electrified by the glorious sense of occasion and place. The grand opening gala overran live but it was worth watching anyway: this was a historic moment, particularly in the wake of last week's murders and the bigotry that's surfaced since. Paavo Järvi, sometimes uneven, led the Orchestre de Paris in a truly great rendition of a patriotic (but artistic) programme of Dutilleux, Ravel and Fauré. William Christie, in the third concert, positively glowed with happiness. He's looking old and frail, so any opportunity to see him should be treasured. Les Arts Florissants did a familiar programme well, but my eyes were riveted on Christie, who was clearly enjoying the moment, the fulfilment of the dreams of a lifetime. Les Art Florissants now have a glorious, permanent home in Paris itself, much higher profile than their former base at the Théâtre de Caen. Les Arts Flo are more than an orchestra, they've helped transform the status of French baroque. Last night I watched Tito Ceccherini conducting Ensemble Intercontemporain. Wonderful performance, even by the high standards of this orchestra, founded in 1976 by Pierre Boulez. Their home, the Cité de la Musique, has been renamed Philharmonie II, integrating contemporary music and IRCAM in the mainstream, as it should be, for it's one of France's great contributions to European culture. Excellent programme, with great classics like Varèse Intégrales, Ligeti Concerto for piano and orchestra, and Magnus Lindberg's Related Rocks. Throughout history, innovation has been resisted, but without renewal, there's no life. 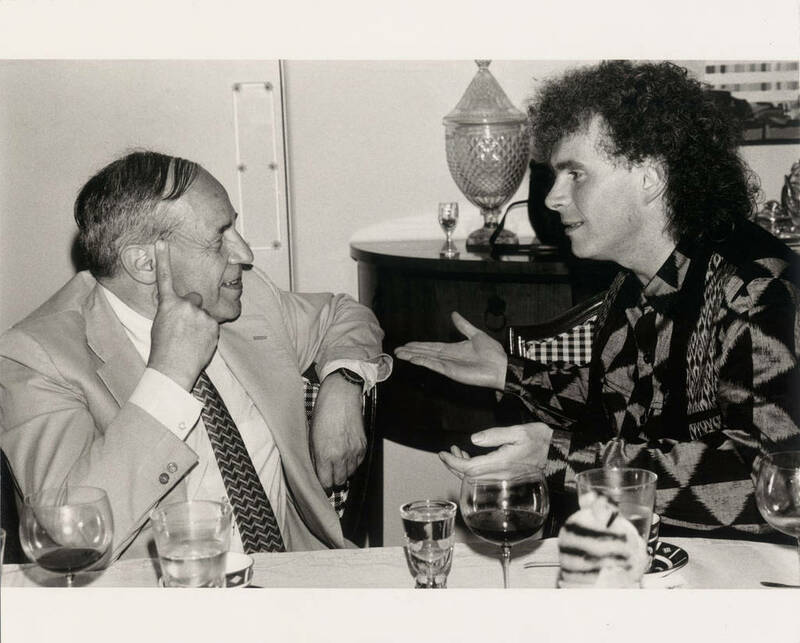 Boulez, incidentally, collects Paul Klee. On Sunday, clash of the Titans ! Boulez's Birthday Bash in Baden Baden, where he began conducting in 1957 on the recommendation of Hans Rosbaud. Live streaming from the Wiener Staatsoper of Wagner Tristan und Isolde, the old McVicar production . Pierre Boulez turns 90 on 26th March. On Sunday 18th January, a special concert will be broadcast on arte.tv. "... explosante - fixe ..."
Like many big projects, the new Philharminie doesn't come without controversy. Read more HERE and HERE. The South Bank is still controversial after 60 years, At least the new Philharmonie isn't in the heart of town, where it would have had to cater for the kind of non-musical uses which have worn down the South Bank. Meanwhile, Boris Johnson's pet project, the £141 million Olympic complex gets underway with hardly a mention in the British media. So it's going to house branches of the V&A, Sadler's Wells, two university campuses and links with American universities, but is it actually an arts venture? Or is it a new branch line for the Olympics gravy train At a time when the arts in London are seriously threatened by a government that puts politics above the arts, it's pretty cockeyed. There's a sound business case for keeping London as an international arts powerhouse, but some politicians are more interested in votes than business sense. So let's consider the new Philharmonie de Paris on its musical offerings. The first Gala Opening concert features Dutilleux, Fauré, Ravel, and Thierry Escaich. Paavo Järvi .conducts the Orchestre de Paris with soloists Renaud Capuçon, Sabine Devieilhe, Matthias Goerne and Hélène Grimaud. Arte.tv is screening the concert live, even in the UK. The second opening gala, on 15th at 2030 (Thursday) features Lang Lang in a programme of Borodin, Tchaikovsky and Berlioz. On arte tv HERE. On Saturday 18th, Laurence Equilbey conducts Max Bruch Die Loreley a rarity recently revived, which I've written about HERE (Max Bruich Die Loreley - non-Wagnerian Wagner On the same evening, Lionel Sow conducts Carl Orff Carmina Burana. And on Sunday there's a documentary about the Philharmonie, a "Musical Dream" HERE. Is Robert Schumann's Das Paradies und die Peri an oratorio or an experiment towards a new form of music theatre? 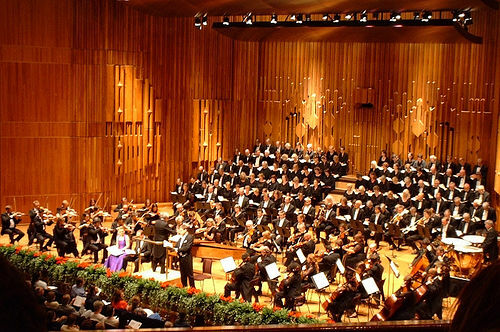 Simon Rattle and the LSO at the Barbican, London, confirmed its rightful place in the repertoire. It's a wonderful piece which, like all truly original work, defies pigeonholes. The Peri is a half-human, half-demon Mischling who has to die to be redeemed. The original poem, Lallah Rookh, by Thomas Moore, titillated 19th century readers because its exoticism confounded comfortable, Christian concepts.Perhaps that's exactly why Schumann chose to set it. References to Bach flow through the piece so frequently that it's clear that Schumann is making a statement. Yet the subject might have appalled Bach's more devout listeners. There are references, too, to Mendelssohn's oratorios, like Elijah, and to his songs, particularly Auf Flügeln des Gesangs, with its images of flying across night skies to the Ganges, to palm trees, to lotus blooms (read my piece on it here) What secret message is Schumann sending? The late John Daverio called Schumann "the Herald of a New Poetic Age" Would Schumann, had he lived, heralded a new musical age ? By 1843, he'd proved his mastery of Lieder. Might he not have turned his attention to experiment with new forms of music drama as an outgrowth from his immersion in the literature and music of his time? 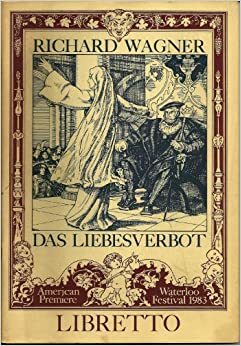 There are references to Weber, for example, as there are in Schumann's opera Genoveva (read more HERE). 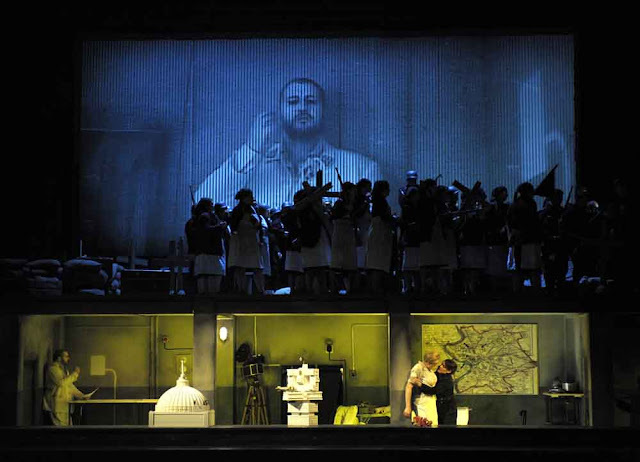 Das Paradies und die Peri is a sophisticated approach to music drama, not a throwback to a time before Wagner changed the whole game plan. Rattle has conducted Das Paradies und die Peri with the Berliner Philharmoniker and has conducted it in London before, with the Orchestra of the Age of Enlightenment. This LSO performance was warmly received, but not quite in the same league. In the first part, textures and tempi weren't as sharp as they might have been, though things picked up immeasurably in the second half. Go to the Berlin Philharmonic Digital Concert Hall for a really definitive performance. We love the LSO. our home band, but they aren't quite in the same league. The female soloists are the same. In London, we had Mark Padmore whose extensive experience in Bach oratorios helps make the Bach connection more obvious, especially to new audiences. We also had Florian Boesch whose 'Jetzt sank des Abends goldner Schein" was extraordinarily moving. The part isn't big yet the passage and its partner "Mit ihren Schwester" are critical, so it really needs the authoritative, clear definition which Boesch brought to it. The connection between the bass and the fluttery quartet of Peris was wonderful. The biggest part, however, falls to the Peri. Sally Matthews's diction-free billowing sound was certainly enthusiastic, though there's much more depth to the Peri than she got here. Bernarda Fink has been singing Das Paradies und die Peri longer than anyone else. In 1999 she sang the Angel for John Eliot Gardiner, whose concerts and recording transformed the fortunes of this work. It's still the benchmark, I think, though Harnoncourt with the Bayerischen Rundfunks Orchester (which also features Bernarda Fink) is also good. She also sang for Rattle with the OAE, when she stood among the chorus, and her voice shone forth, like an angel. Bernarda Fink deserves some kind of award for services to Schumann. This Rattle/LSO concert was recorded for the LSO's own label. Worth hearing for Padmore and Boesch, but to be honest, Gardiner, Harnoncourt and Rattle/Berlin are the ones to go for. Schubert's Winter Journey: Anatomy of an Obsession, by Ian Bostridge, isn't yet another book about Winterreise. Like the cycle, it is a journey of exploration. charting Bostridge's lifelong saga into the heart of the music, and into the world from which it came. Goethe may have been more of a classicist than a true Romantic, but his never ending search for knowledge defined his era and remains an inspiration for our own. In an era of instant expertise, this spirit of eternal discovery seems to have been replaced by fast-food thinking, instant expertise and Tea Party Intellectuals. We need books that don't leap to conclusions but focus, instead, on the process of learning itself. Questions are far more important than answers. This book is a Rückblick on a never-ending journey, whose goal lies not in conclusion but in the search that goes into understanding. It's a journey that takes courage and integrity. There used to be a body of opinion that the protagonist in Winterreise must have been mad, and must die in the end because he doesn't conform. But the protagonist, poet and composer deserve more respect. In each chapter, Bostridge engages with the background to the ideas in the cycle, and with the wider social and artistic context. "Winterreise is a historical artefact", he writes, ""made in history, and transmitted through and by it". The poet, Wilhelm Müller, was a soldier who served in the wars against Napoléon in Russia, a "winter journey" if ever there was one. The chapter Der Lindenbaum opens up a panorama of ideas, which range from the symbolism of the Linden tree and its associations in folk magic, to a particularly thoughtful essay on Thomas Mann and the winter journey in The Magic Mountain. Bostridge then proceeds to a technical discussion of triplet assimilation, then forwards to geology and the physical phenomena that are so much part of the cycle. Many interesting observations. "To write on ice is an image of ambivalence, like writing on water but not quite letting go,.....Freezing feeling is....both to preserve and to anaesthetize it". Utterly relevant to interpretation of meaning. "m" in "masses" might be silent. Lieder is an art form of the intellect, a voyage into emotional depth, which all can undertake if they so wish. For this reason, Bostridge's book, with its wealth of ideas on art, literature and history, informs and stimulates. Had Bostridge stayed in academia, he might have been one of those truly good teachers who teach students how to think rather than what to think. He also writes in a clear, elegant style with little of the logorrhea too many writers use to hide the fact that they aren't really saying much. His translations are simple yet emotionally direct. Although he digresses, he always returns to the music and to the point. Physically, this is a beautiful book, with thick, satiny paper and relatively few words per page, and extremely well-produced illustrations. It is a throwback to the time when reading was a sensual pleasure, to be savoured without rush. In some ways. it's like poetry, to which one can return to again and again and find more inspiration. 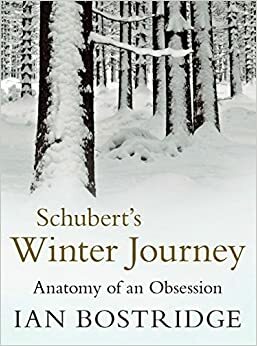 Schubert's Winter Journey: Anatomy of an obsession might enrage those who expect confirmation of what they already believe, but for me, and, I think, many others, it's a springboard for ever greater engagement with the miracle that is Winterreise. who would have come from far away and are now inside our heads. carried aloft in the right hand. Remember that in the fierce pride of all these memories. and of the joyous return of happy emigrants. and the dreamer thinks of his wound. who are the effects of other causes. equally like the hearts of all mankind. Here are our hands which life has enslaved. Ripped out from everyone else, too. "At last" said a man in the audience at Verdi Un ballo in maschera at the Royal Opera House, "a production there's nothing to boo about" though, pf course, some sections of the audience like getting incandesant with hate, and would feel cheated if they didn't get that rush of livid adrenaline. Most of us, however, go to opera because we might learn something about art itself. At first, I could hardly believe my eyes, seeing 19th century stagecraft and semaphore acting to match. The man sitting beside me fell asleep. I wanted to join him. Then it dawned on me that that was exactly the intention. Katharina Thoma got slammed for her Glyndebourne Ariadne auf Naxos because it was too demanding. "We British don't like intellectuals,"someone said at the time. So this time, she gave the audience the bog standard they claim to love. Or did she, really? This production appeals to those who think opera must be as literal as possible. But what if art exists to stimulate our minds, and to make us think and feel more deeply about life? Is art a commodity that can be consumed, like fast food, or does it exist for its own sake? Throughout history, true artists have often been innovators. Now, mass audiences hold sway: people don't want truth but the confirmation that their version of truth cannot be challenged. So, on the surface, this Un ballo gave a large part of the audience just what they wanted – no ideas, no perspective. Conversely, an even larger part of the audience was numbed into disbelief. Could anything outside the Met be quite that mindless? While seeming to pander to the anti-intellectual wing of the opera world, Thoma makes a good case for opera with ideas. A good director once told me, always think of characters, how they came to be where they are and why they feel as they do. The libretto and score, in this case, give precious little to go on, though a lot could be made of the relationship between Riccardo and Renato. And why is Oscar a trouser role ? Maybe the old production with revealing yellow skin-tight pants was saying something significant! Why do supposedly rational people need to consult soothsayers? Many questions. Dramatic interpretation gives clues to answers. But oh, no, we don't like ideas and, above all, not German ideas. So in this Un ballo, we get a supposedly ideas-free experience. As I watched, I enjoyed seeing the dynamic between Joseph Calleja and Dmitri Hvorostovsky They were singing the right words, but were playing themselves, not their roles. There's a difference. Both are perfectly capable of inhabiting characters but here they were being stage personalities having a good time interacting with each other. Art about the making of art! So the staging with its archaic painted screens was making a statement: this is drama, not realism. At least this production had nice colours unlike the last one, which Rupert Christiansen rightly called "ugly and obtuse". At least we didn't have the horror of blackface extras pretending to be voodoo slaves, which has been done in the past. Whatever the synopsis says, the opera isn't about Boston, even long ago. Thoma's Un ballo in maschera connects to theatre traditions of the past, not just in the physical sets and park-and-bark acting, but in its references to French grand opera, which still dominated Europe at the time Verdi was writing. The libretto is an adaptation of a score written by Eugene Scribe for Daniel d'Auber only 25 years before. 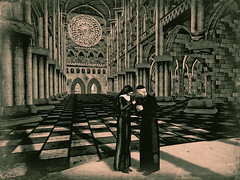 Hence the Gothic Camp of the midnight scene, which references the taste of the time for crypts, funerary marble and dancing corpses. Thoma didn't invent the soothsayer, who is in the libretto, and looks like a witch in most productions, including the one by Calixto Bieito, where she looks exactly like Rebekah Brooks, though the staging precedes the News International scandal). Oscar appears in a costume from the "wrong" period, another link to stagings of the past. As I've mentioned, a very odd character indeed.Small photo shows Pavarotti and an Oscar of his time. 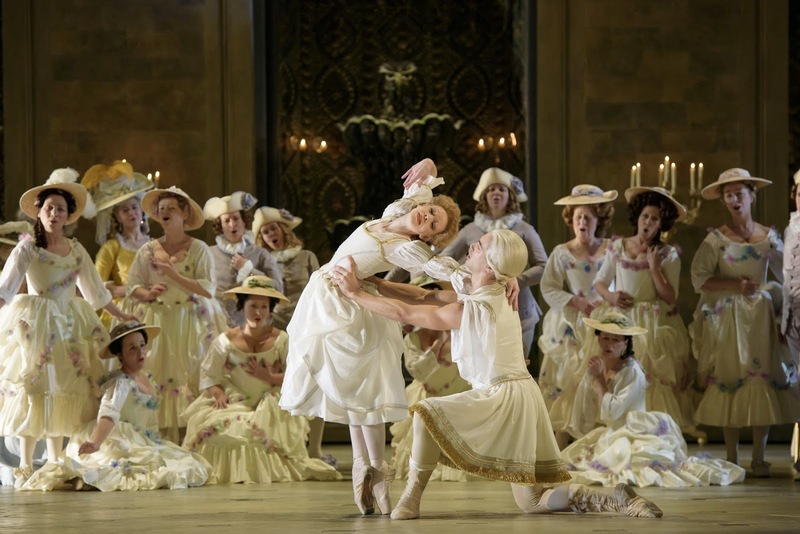 There are two more performances to come at the Royal Opera House. This is such refined satire that I wish I could manage to go again. Please read my review of the premiere of the ROH Un ballo in maschera HERE. 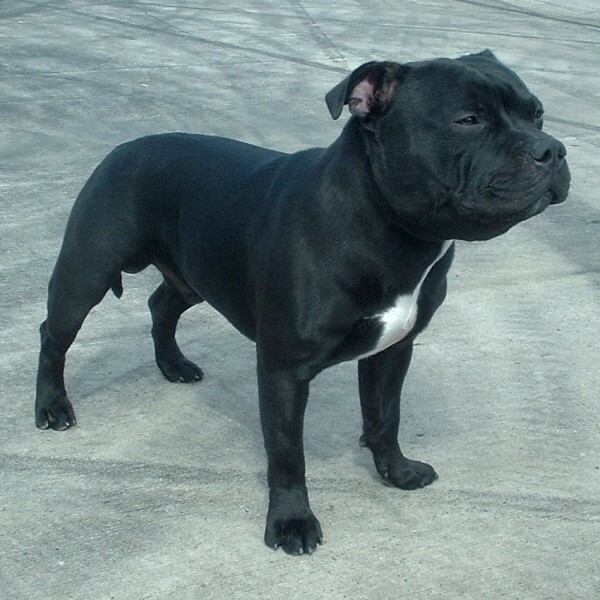 "Tales from the Crypt"
My Staffy hears music all the time, and isn't much bothered. One day, however, Fafner roared out of the speakers Instant alert ! Much jumping and growling. That dog has more imagination than some people ! Now online on France Musique (show starts at 51 minutes) , a sparkling new production Johan Strauss II La chauve-souris (Die Fledermaus) from L'Opéra Comique in Paris. Conducted by Marc Minkowski, musically it's effervescent and sparkling, with the depth of genuinely vintage champagne. Headed by the inimitable Stéphane Degout, the singing is sharp, sophisticated and pungent. When the hiccups, "drunken" slides and woozy laughter take hold, they're even more pointed. In vino, veritas ! This isn't a superficial opera, except to those who like superficial. Decades of Otto Schenk have trained audiences to think of the opera in terms of costumes, rather than drama or even music. Hence the leaden, self-conscious performance we've suffered in recent years. Wit lies in the mind, satire in the imagination ! Thankfully, the acting here is as spirited as the singing, dialogue delivered with such panache that non-native speakers can catch the excitement. Luckily, there are many good recordings (Kleiber, Karajan etc) to listen to as music, blanking out the Schenk staging. Imagination, as always - listening should be a form of creativity. At the Wigmore Hall last night, Jonas Kaufmann sang four songs from Robert Schumann's Kerner Lieder op 35 (1840). The full twelve songs comprise a true "song cycle" of which there are relatively few in the whole repertoire. This is a very tightly structured cycle, sometimes compared to Beethoven's An die ferne Geliebte, to Mahler's Kindertotenlieder, or even to a miniature symphony. This indicates that perhaps Schumann heard greater possibilities in them than a straightforward textual study might indicate. Themes recur, with unifying effect, creating a kind of flowing, subterranean logic. This matters in terms of meaning, for the songs are marked by a strange, otherworldly aesthetic, as if each were a vignette into another dimension of consciousness. The cohesiveness of this cycle also makes me think of Schumann's interest in puzzles and arcane patterns. Nonetheless, some of the songs are outstanding on their own terms, which is why they are frequently performed as individual stand-alones. Justinus Kerner (1785-1852) was a Swabian medical doctor, interested in the wilder shores of therapy in his time, when ideas like magnetism, mesmerism and the occult weren't excluded. Imagine how he and his contemporaries would have embraced psychology! Perhaps Schumann responded to Kerner's morbid imagination, just as Hugo Wolf was to respond to the poetry of Eduard Mörike, a generation later. The cycle begins with the violent Lust der Strumnacht, invoking storm, winds and heavy rain, through which a mysterious traveller makes his way. Listen to the savage "s" sibilants whipping the song forward to its adamant one-chord conclusion. Somewhere trapped inside the second strophe is the image of lovers snatching a golden moment - indoors - who want the storm never to end. "Bäumt euch, Wälder, braus, o Welle, Mich umfängt des Himmels Helle!" Already Schumann creates the almost schizoid extremes of mood that characterize the cycle. This turbulence gives way to Stirb' Lieb’ und Freud”! in which a man observes a woman transfixed by religious ecstasy. She's young but wants to renounce the world, to become one with the Virgin Mary. Beautiful as the image is, it's unnatural to the man, who now can never speak of his love. The tessitura suddenly peaks so high than some singers scrape into falsetto, which is why the Kerner Lieder are more safely performed by tenors who can do the sudden tour de force transition with relative ease. Peter Schreier mixes purity with ardent protest - wonderful. It's more of a strain for baritones. Fischer-Dieskau recorded it only once, as did Hermann Prey.. However, when Matthias Goerne, with an even lower timbre, sang it he showed how the contrast between dark and light is integral to meaning. The high pitch isn't merely a way of imitating the young girl's voice, but a cry of pain from a man in the shadows, seeing the girl illuminated by rays from a Heaven he can never attain. As the last notes fade, Schumann throws us back into the maelstrom.. In 'Wanderlied', the protagonist enjoys golden wine (a recurring symbol in this cycle) but this moment of rest is soon blown away by the dynamic opening line, "Wohlauf! noch getrunken den funkelnden Wein!" Wherever he might find himself, he doesn't belong. Again, the minor key of 'Du junges Grün, du frisches Gras!' throws us out of kilter. The protagonist admires fresh shoot of grass, but he'd rather be under them than alive. The lyricism in the piano part is deceptive. Similarly, the rolling, circular figures in 'Wär' ich nie aus euch gegangen' belie the intense regret in the text. These two songs function like a prelude to the magnificent ;'Auf das Trinkglas eines verstorbenes Freundes'. The canon-like melody has a grandeur that raises it above a mere drinking song. It has an elegaic quality, suggesting an organ in a cathedral – linking back again to the mood of Stirb' Lieb’ und Freud”. Its long lines demand exceptional skill in phrasing, for it ponders the mystery of the relationship between the living and the dead, and along the way reflects the composer’s love of “Gold der deutschen Reben!”– at these lines there is a touching modulation which is sustained through the grandeur of “Auf diesen Glauben, Glas so hold!” A spider has wound its web round the long dead man's wineglass. Again, Schumann forces the singer's voice way up his register. suggesting heights and distances the living cannot reach. The very spookiness in this song elevates it to another plane. This song doesn't come at mid point in the cycle for nothing. For a moment, Schumann retreats into the relatively conventional Wanderung, and the delicacy of Stille Liebe , but notice how the soft, rolling figures from 'Wär' ich nie aus euch gegangen' should keep us from being lulled. Thus, Frage emerges like a prayer: a miniature whose quiet tone disguises its key position in the cycle. The protagonist is now the one who is mediating on the stillness which the young nun and the departed friend have achieved. With "Noch" the pace slows deliberately, so the last phrase "in arger Zeit ein Herz mit Lust?" shines upwards. The final "movement" in the Kerner Lieder begins with Stille Tränen. It's not unlike Stille Liebe, but much richer and more assertive. The voice opens out, the piano part is firm and resonant. The sleeper has woken from a night of tears, to a morning of heavenly blue skies. Is the protagonist starting to wonder Dass du so krank geworden? The final song is, to me, one of the finest in the repertoire. It is marked “noch langsamer und leiser” (than the previous song)., rising barely above a mellifluous, perfectly controlled half -voice, so one has to pay attention to every syllable. The poet rejects the comfort offered by nature, and affirms that only death will release him “…aus dem Traum, dem bangen, Weckt mich ein Engel nur.” The quiet lines, with the lovely slight pressure on “Engel”suggesting a caress. The invisible wings of an angel? Whatever the source of this mystery it offers kindness and the hope of ultimate release. Has the protagonist at last found that elusive inner repose Listen to the contemplative pace of the piano, each note separated by silence, like a heartbeat. What a contrast with the turbulent Lust der Strumnacht, ! The cycle has come, ouch! full cycle. Berlin comes to the Barbican and Royal Festival Hall, London, this season For my review of Simon Rattle Schumann LSO Barbican Das Paradies und die Peri see HERE. The Berliner Philharmoniker give concerts at the Barbican on 10th , 11th, 12th February , traversing the complete Sibelius symphonies, with Mahler Symphony no 2 as an encore at the RFH on 14th and 15th February. The series has been sold out for ages, but returns do pop up. Keep checking, as Sibelius has long been a speciality with both the orchestra (remember Karajan) and conductor. Rattle's approach is very different to Karajan's but still very idiomatic. Two more Simon Rattle concerts at the Barbican, with the London Symphony Orchestra: Schumann Des Paradies und die Peri on 11th January, and for contrast Webern, Berg, Ligeti and Stravinsky The Rite of Spring on 15th January. Barbara Hannigan is singing the excerpts from Wozzeck, which she's done with Rattle in Berlin. The Schumann concert's significant too because it's one of Rattle's favourites. When I first heard it, in a new edition, premiered by John Eliot Gardiner live as the Royal Festival Hall in 1999, I didn't get it at all. 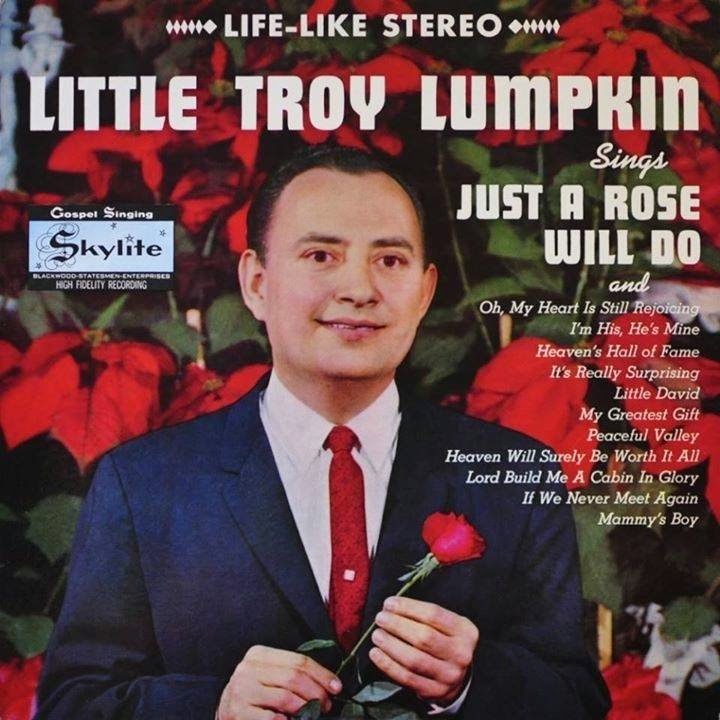 Now, however, I think it's an underrated milestone in music theatre. If I have time, I'll write more before the concert. There have been lots of recordings since JEG's landmark, but Rattle is very good, and idiomatic. He last conducted it in London in 2007.You can also hear his Berlin performance with the Berliner Philharmoniker HERE, with a similar cast to what we'll hear next week. Highly recommnded. The Barbican concert will be broadcast live on BBC Radio 3. Also worth going to: Ian Bostrdge, Schubert Winterreise with Thomas Adès at the Barbican Hall on 12th January and the UK premiere of Wolfgang Rihm's Tutuguri on 31st January. Kent Nagano's conducting the BBC Symphony Orchestra. "Scatological and anti-religious words are used in a musical texture that ranges from hypnotic haze, to raw blasts of noise, to slow-motion Stravinsky. In the second half of the piece, ten percussionists pummel out an intense, shimmering and at times deafening rhythmic ritual." So much to look forward to in the New Year! At the Wigmore Hall: Jonas Kaufmann in recital on Sunday, sold out for months, with ticket prices three times more than usual. Much as I love JK in opera, I'll leave that for the fashionable crowd. But start the year with Amore e Morte dell'amore, a very well planned recital of baroque chamber pieces with Sonia Prina, Roberta Invernizzi and Ensemble Claudiana on Saturday 3rd. Andras Schiff plays Schubert on Friday 9th. He's also giving one of his inimitable post-concert talks, usually very special. He's playing Beethoven on 13/1 and accompanying Mark Padmore in recital on 15/1. Less famous, but good: Barnabas Keleman at 11.30 on 11/1, a young but very promising violinist. Also very worth booking, the JACK Quartet premiering Simon Holt and G F Haas on 19/1. The REALLY big news is Mozart 250 – A Retrospective, the Wigmore Hall's series marking the 250th anniversary of Mozart’s childhood sojourn in London. It launches with a retrospective of the year 1765, featuring music written in London, Paris, Vienna, Eisenstadt and in Italy, complete with Mozart’s first symphony and concert arias. Classical Opera, conducted by Ian Page, with Anna Devin, Sarah Fox and John Mark Ainsley. Mozart back-to-back, pretty much, for the rest of the month. But for me, the highlight will be Ernst Krenek's Reisebuch aus den österreichischen Alpen on 29/1 with Florian Boesch and Malcolm Martineau. The cycle is panoramic in every sense and rewards thoughtful understanding – much more than seven humorous songs, as it was once described. There are in fact 20 songs, some of them very dark indeed, including perhaps the only Lied to deal withn the rise of the Nazi Party on the other side of the Alps. Fresh from his success in Vienna with Jonny spielt auf, Krenek went on a spiritual retreat to the Salzkammergut. This background is extremely important context. In 1928, the centenary of Schubert's death. Schubert wasn't quite as ubiquitous as he is today, so Krenek was paying homage, as a modern Austrian composer, to the most iconic song composer of all time. Again, this matters, since Austria lost the war of 1914-18 and became a dismembered rump of a formerly glorious empire. Krenek was engaging with Schubert, and also with the reinvention of Austrian identity. Life in the Salzkammergut was tough, but the people were as resilient as mountain goats. I've been writing about Krenek's Reisebuch aus den österreichischen Alpen for more than 15 years yet still find fascinating new aspects. It's such an unconventional work that it would be worth reading what I've written before about it, for example HERE. Boesch should be brilliant, since he's Austrian and understands the background. The Dresden Staatskapelle gala wth Thielemann, Netrebko, J D Florez and Pavol Breslik HERE. It's wonderful. very spontaneous and lively. And an antidote to the brainless Vienna Staatsoper Die Fledermaus, a link to the 1943 film version, which puts the satire back into the opera. Good "Regie" deals with the meaning of an opera. Otto Schenk, is "Bad Regie" because he castrates meaning. Michael Kennedy has died, and with him one hopes not, the end of an era when writing about music meant a level of knowledge, but even more importantly , integrity, humanity and the idea that there's always more to learn. Like Neville Cardus before him, he wasn't formally trained, but had a good ear, and a good mind, things which can't really be taught. He cared about music and how people listened. As he famously said, there's no need to dumb down, since good people will rise to the stimulation that is good music. Kennedy's great forte was British music. His work on Elgar raised the bar for British music studies, firmly placing Elgar in the mainstream of European tradition. He also wrote, and taught about other British composers, like Vaughan Williams. Donald Mitchell, born only 13 days before Kennedy, cornered the market for Britten, but both men promoted Mahler. Mitchell's work on Mahler is scholarly : Kennedy's book on Mahler reached non specialist readers and brought many into the realm of Mahler studies. Kennedy's liner notes and reviews weren't ephemeral filler but genuinely informative. He wanted to share his enthusiasm and listen more sensitively.He wasn't a celebrity, but eager to keep learning. Until recent years, he was often at British music events, in the audience, giving talks, and approachable. The last time I saw him, a few years ago, he looked extremely frail. But he will live on forever, in his books and in memory, as long as there are people who believe enough in good music to appreciate that it can inspire without being turned into pabulum. Most detailed obit HERE in the Telegraph.